As the name goes, this medicine is prepared from Phosphoric Acid and obviously acidic in nature. Every homeopathic Materia Medica mentions in detail the symptoms associated with this medicine. There are lots of ailments where this medicine can be of great use. In addition to other ailments, it is frequently recommended in diabetes, falling of hair and general weakness and is used in all potencies including Mother Tincture. Every homeopath recommends it according to his/her own perception and experience. This article contains my views on its use. Generally where Acid Phos is the indicated medicine, the person has a feeling of general weakness but might not be acidic. Given in lower potencies like Q (Mother Tincture), 3X or 6X, the medicine would tend to increase acidity in the body. As the potency rises above MT, the acidity that it creates or adds reduces due to diminishing ratio of the original drug substance. It would thus be safer to use it not below 3X but if for some reason it is to be used in MT or 3X, taking it on empty stomach should be avoided. MT or lower potencies should also not be used for prolonged periods. Remember that acids have a general drying effect on the body. If the person suffers from constipation, lower potencies might aggravate it. However, there might be exceptions. Oligospermia, azoospermia and diabetes are the only types of cases where I consider using low potencies. In my opinion, warmth of the body is very essential. Low body temperature and associated low blood pressure tend to make the person lethargic with disinclination to work mentally or physically and thus reduce the working efficiency. Using Acid Phos in low potencies in such conditions might not be of much help. It would give some strength but that would not be enough. For satisfactory results, it should be used in potency not below 6C. Preferable would be 30C, which would give reasonable warmth and be more efficient in curing the ailment. 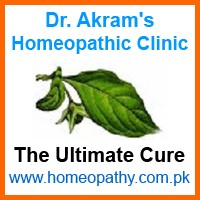 In any case, you must consult your homeopath for proper advice according to requirement of your body.